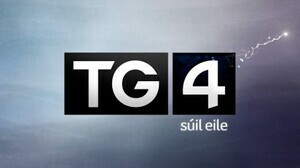 I’m writing to ask if you are aware of the fact that TG4 commissioned three UK based Companies to design the motion graphics and new Logo in 2012. Many people, rightly, commented on Social media that because of EU rules, TG4 would have had to tender this work and whichever company came up with the best/cheapest pitch would win the commission, regardless of location. Further enquiries showed that in fact tender is not required for “creative” work. This means that TG4 (and, as it happens, RTE) do not need to advertise any work for commission and therefore, any Irish Companies who specialise in this kind of work (and there are many) might not even be aware that work is available. It seems odd to me and many others that, in particular , designing a Logo that reflects *characteristics of traditional Irish Fonts that’s both modern and steeped in heritage* needs to be sent to three UK companies. I personally do not work in this specialised area of design but I do know plenty of people who do. I also know people who will be graduating from IADT and other design Colleges who find this news demoralising and disappointing. One might have assumed that , with TG4’s commitment to Irish heritage, language and creativity, every effort would have been made to find a company in Ireland (and perhaps even in the Gaeltacht areas) to do this work. Ireland is bursting with creative talent, in all areas including motion graphics, typography and design. For the life of me I cannot understand why this lucrative job could not have been offered to an indigenous company. Previously: An Raibh Fios Agat? 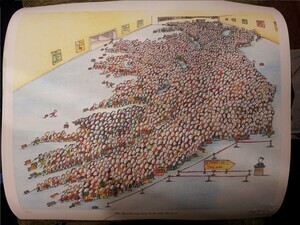 Posted in Misc and tagged Annie West, TG4 at 12:08 pm on May 13, 2013 by Broadsheet.